South America is one of the 7 continents on the planet. The majority of its position lies within the Southern Hemisphere, and geographers designate it as a subcontinent of the Americas. The Pacific Ocean borders South America to the west, and the Atlantic Ocean borders it to the east. The Caribbean Sea and the North American continent lie to the northwest. 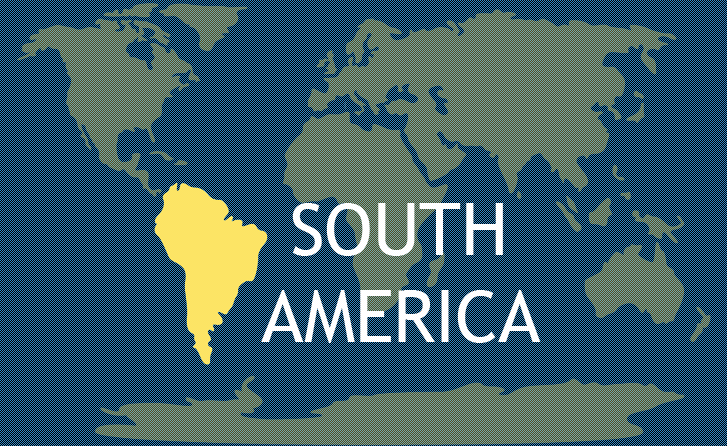 South America includes the following countries: Venezuela, Argentina, Uruguay, Bolivia, Suriname, Brazil, Peru, Chile, Paraguay, Colombia, Guyana, and Ecuador. In addition, South America has two non-sovereign territories: French Guiana, a territory of France, and the Falkland Islands, a territory of the United Kingdom. The geographic area of South America encompasses over 6,890,000 square miles. The population estimates from 2013 exceed 386,000,000 people. As one of the 7 continents, South America ranks fourth in geographic size behind Asia, Africa and North America. It ranks fifth in total population behind Asia, Africa, Europe and North America. The majority of the population lives in the coastal regions. The interior and southern regions tend to be sparsely populated. The Andes mountain range dominates the Western region of the continent while highlands and extensive river basins, including the Parana, Amazon and Orinoco basins, comprise the Eastern region. The majority of the continent lies in the tropical zone. The societies of South American make up a racially, ethnically and culturally diverse group of people originating from Africa, Europe, and Asia. Generally, the societies reflect a background of colonialism, and most South Americans speak Spanish or Portuguese. Many traditions trace their roots to origins in Western civilization. The South American continent contains many spectacular geographic sights. The highest waterfall in the world, Angel Falls, lies in Venezuela. In addition, South America contains the highest volume river, the Amazon, the longest mountain range, the Andes, and the driest area on the planet, the Atacama Desert. The Amazon Rainforest claims the title of the largest rainforest in the world, and Lake Titicaca remains at the highest altitude and is regarded as the most commercially viable lake in the world. South America continues to provide the world with extensive mineral resources, including silver, gold, iron ore, copper, petroleum, and tin. These mining and exportation of these minerals have brought significant economic growth through a consistent source of income. However, some countries have concentrated their economies on one or two mineral exports, and this practice hinders the development of broader economies. The price fluctuations in the commodities markets can lend instability to the economies of the continent, and this instability can contribute to political instability as well. This has led to efforts to diversify the economies and strengthen the overall stability of the continent. The biodiversity of South America contains many unique and fascinating species of animals on the planet, including the anaconda, llama, jaguar, tapir, vicuna, and piranha. The Amazon rain forest provides habitat for a major segment of the Earth’s species. The largest country in South America is Brazil, which comprises almost half of the entire continent’s land mass and population. The other territories and countries make up three regions: The Southern Cone, The Andean States, and The Guiana region. One of the earliest cultures of South America was at Norte Chico along the central coast of Peru. This culture existed contemporaneously with the Pharaohs of Ancient Egypt. The Portuguese and Spanish established colonies in South America in the 1500s and beginning in the early 1600s, foreign conquistadors laid claim to many of the natural resources and cultures. The competing conquerors divided the continent and claimed the land for their sponsoring countries. An offshoot of the Napoleonic Wars, the European Peninsular War from 1807 to 1814 altered the political outlook of the Portuguese and Spanish colonies. When Napoleon forces invaded Portugal, the rulers of the House of Braganza escaped to Brazil to avoid capture. After Napoleon captured King Ferdinand VII of Spain, he appointed his brother as ruler instead. This political move created an extreme popular resistance in South America, which led to Juntas ruling the continent in the name of King Ferdinand VII of Spain. 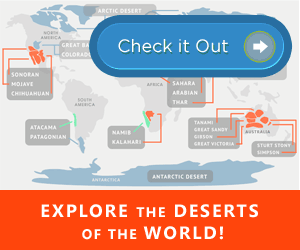 Would you like to explore more? Read about some of the most amazing facts about South America!